The complete series includes over 30 different designs. For wall installations, the pieces may be edited or combined to accommodate large or small spaces in either commercial or residential settings. Every piece differs slightly in size with most heights averaging from 13" to 15" and most widths averaging from 5" to 8". 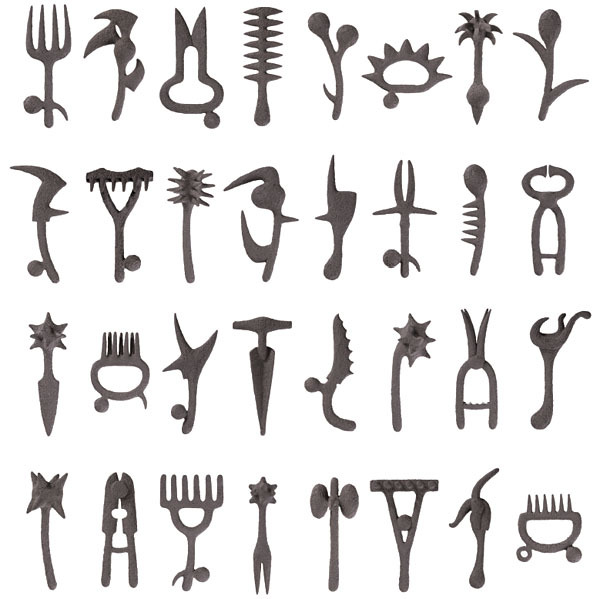 The complete series of 32 different "Implements"